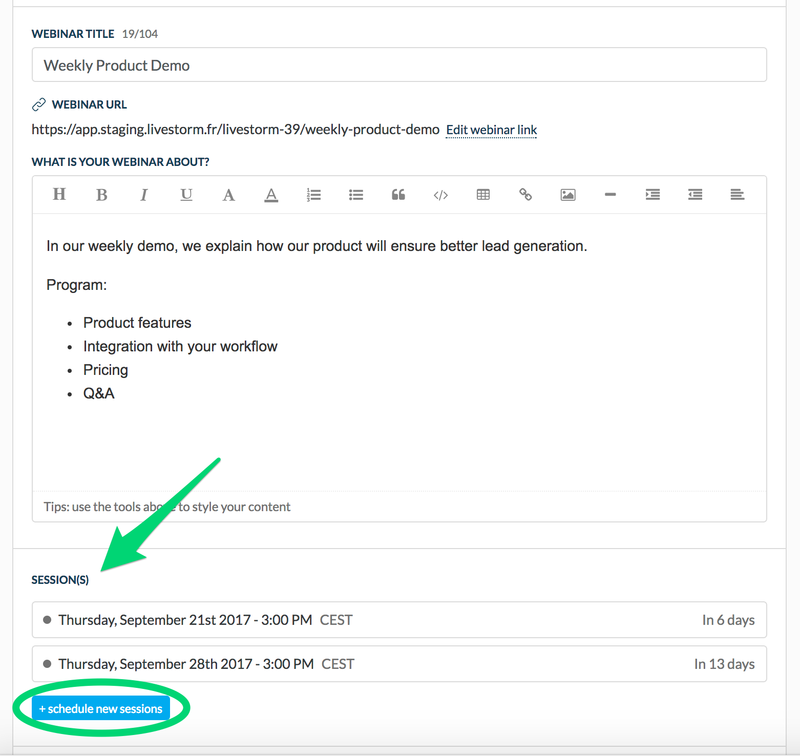 Recurring Events are great for webinars hosted very regularly like product demos or training sessions. Your attendees will be able to pick a session on one landing page instead of going to a different page for each session. 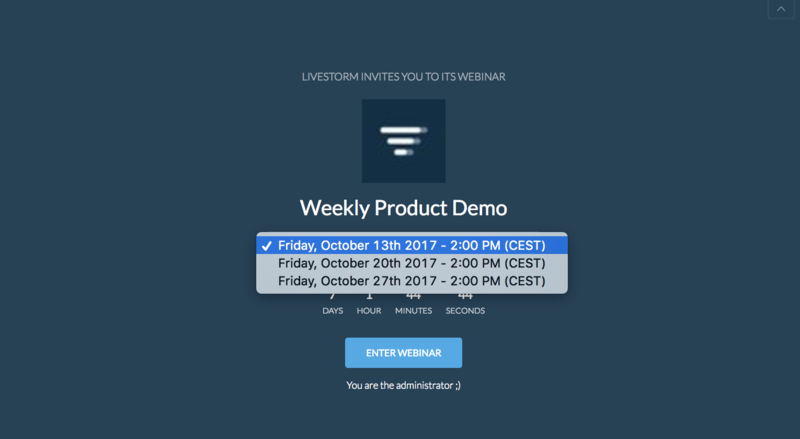 This changes some of the main aspects of Livestorm. Read below to learn everything about Recurring Events. When you scroll over a session, you will see the "Edit session" button. 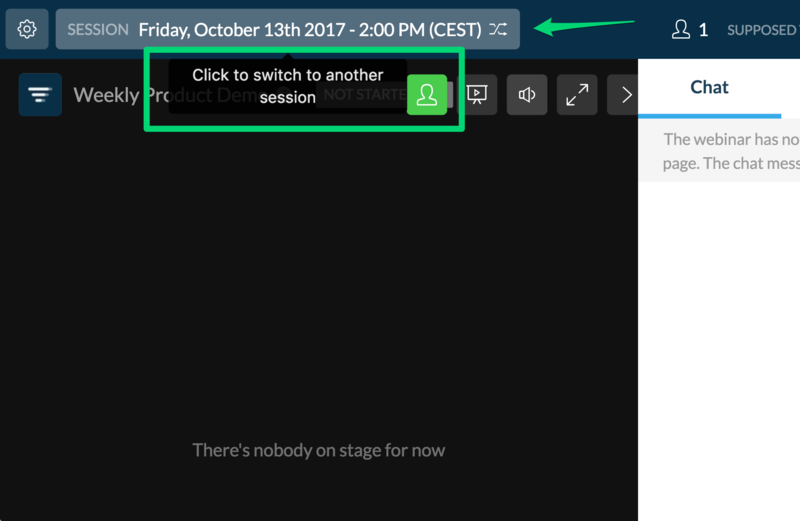 Click on it to edit your upcoming session, or delete it. Important note: If people have already registered for a session, you won't be able to delete that specific session. Instead, you can cancel it. This way, all remaining emails will be canceled as well. If a person tries to connect to the webinar room for that session, s/he will be redirected to a page stating that the webinar is canceled. P.S. You can filter the past and canceled sessions in that same window. We've made some changes to the overall email invitations. From now on when you invite someone to register for your event, they'll receive an invitation containing a general link to the registration page. When they click on the link, they'll be redirected to the registration page which will display the closest session. The visitor has the option to display all upcoming sessions from the same page ( as seen on the section "Registration Page" below). Same rule applies when you share the URL of your recurring webinar. When a visitor clicks on the shared link, the upcoming session will be displayed automatically for registration. Your registration page will show the closest upcoming session by default. 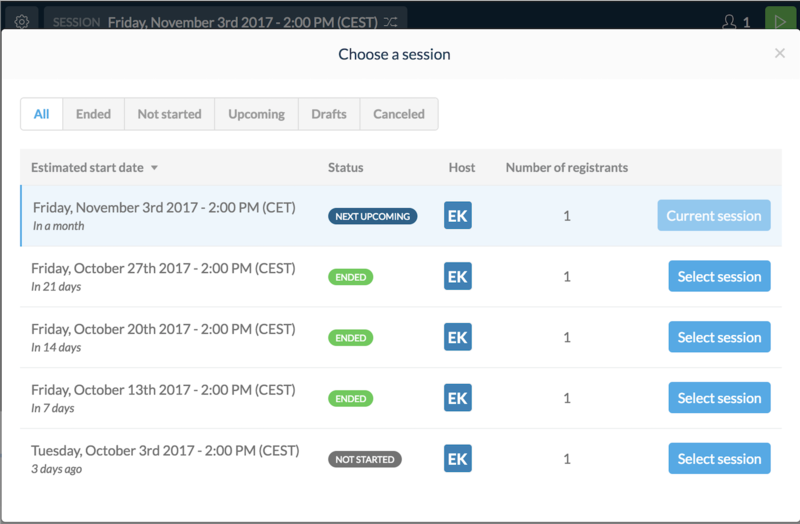 You and the visitors have the option to choose and display a specific session on the same page. The same concept applies to the webinar room. From now on, you can easily navigate between your past and upcoming sessions. We've made some significant changes to our People dashboard. 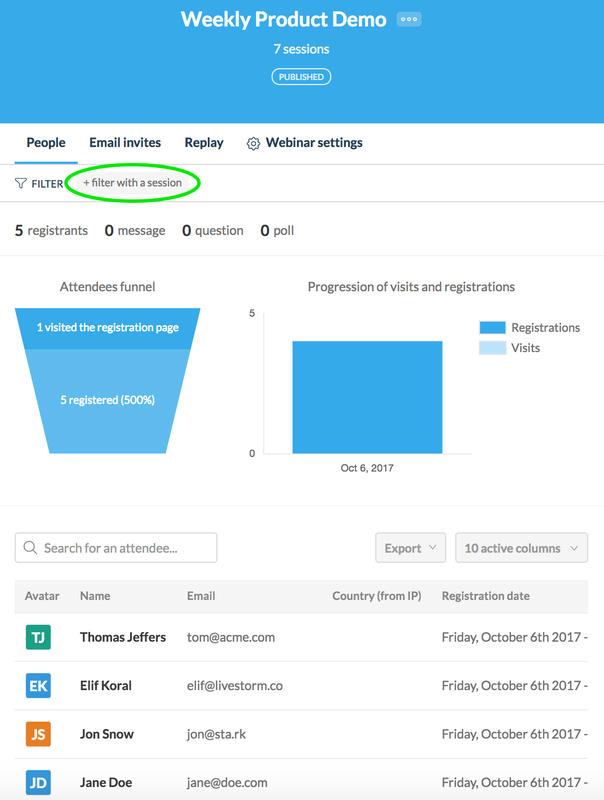 At first glance, the total number of visits and registrations of your recurring webinar will be displayed here. 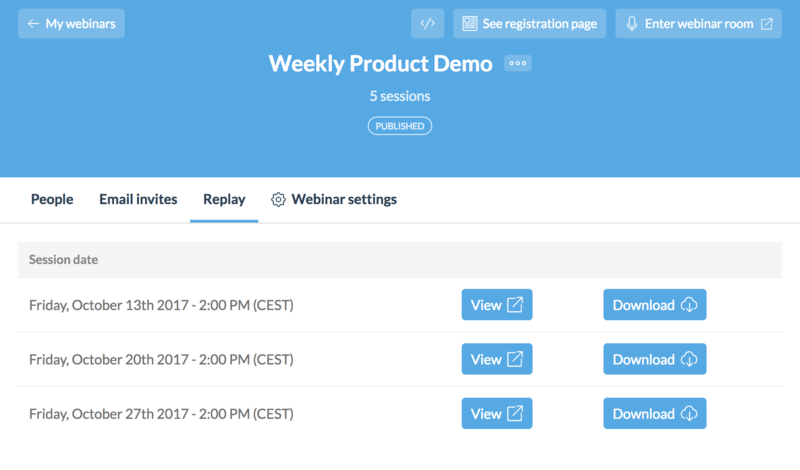 The replays of your recurring webinars will be all grouped together under the " Replay" tab for simpler access. You'll be able to view and download all your replay from one screen.